To create WordPress registration form quite easy using Cimy User Extra Fields. A powerful plugin to create a new user profile on WordPress through the registration form. To register new member in WordPress is very easy because it only requires username and email to register. But you can modify the WordPress registration form more complete according to your needs. Registration form allows other users to become a member. Usually, the bloggers use the registration form member to sell digital products such as selling software and e-books. I will show how to add additional user profile fields in WordPress registration. You can quickly add new columns to the registration form to be more complete. By using this plugin, you can collect additional information requesting address data, phone numbers, gender, birth date and more. Please install the Cimy User Extra Field plugin and enable it, you will see a new menu called “Cimy User Extra Field” located in the Settings menu. Please click the menu to configure the plugin. At the bottom of the settings, you will find the Add New Field. Cimy User Extra Field allows you to add different types of fields or columns. You can add fields with various types such as text, text area, passwords, radio buttons, date registers, avatars, checkboxes, images, image URLs, and other input types. Using this field, you can add registration and user profiles for additional forms. You can also Provide names, labels, and captions, even by using this WordPress plugin You can also add anti-spam like ReCaptcha to ward off spammers. In this example, I created one field for “Phone Number,” with type “text” and added labeled “Phone Number.” Then tick the min and max value, fill it with value 15. Then press the “add field” button and save the changes you have done. To see the results, please go to your WordPress register page. 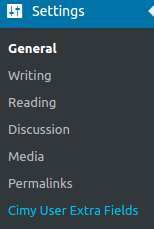 To display the register page on WordPress, please open the general submenu in the settings menu. Then check “anyone can register.” Add the “meta” widget to the sidebar widget. 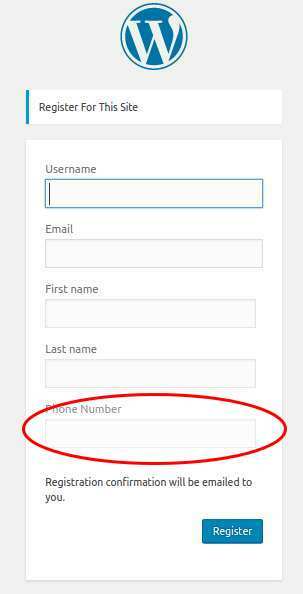 Using Cimy User Extra Fields plugin we can create wordPress registration form with a few steps.